King County plans to give away a parcel of land next to the future Northgate light-rail station, taking advantage of a new state law that lets governments give away land if it will be used to build affordable housing. 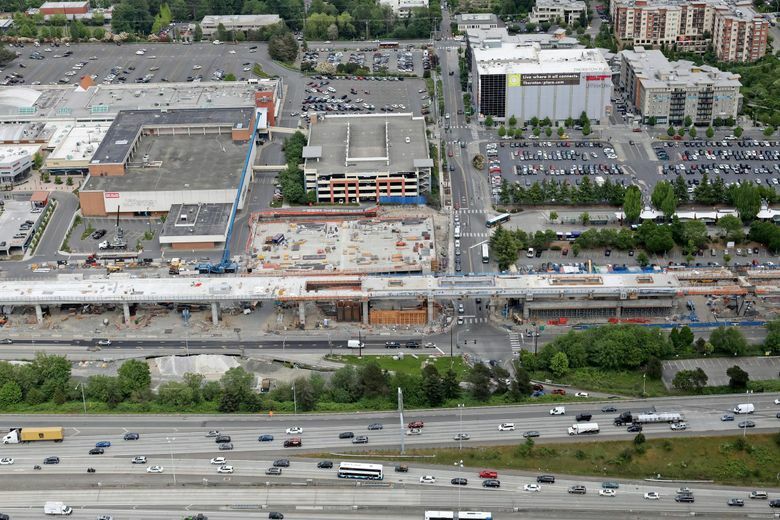 King County plans to donate a parcel of county-owned land next to the future Northgate light rail-station to a nonprofit developer as part of a revamped effort to build affordable housing on the site. The county will also try to issue a request for proposals from developers by the end of July, significantly quicker than it planned just last month. The changes, an effort to get more affordable housing built faster even if it deprives the county of some potential revenue, were requested by the city of Seattle. The long-planned Northgate development was originally slated to be open by the time light rail opens to North Seattle in 2021. But in June, King County Metro rejected the two proposals it had received to build the project and made the move to restart the months-long process of finding a developer. One of the prior, rejected bids had offered $20 million for the land, which is now county-owned park-and-ride lots and a bus station. Once light rail opens, the bus station will be located adjacent to the light-rail stop and the number of park-and-ride spots will fall from about 1,500 now to about 1,200. King County and Seattle have both committed $10 million to the project, which was initially supposed to build at least 200 units of affordable housing, although with the land being donated that minimum is now set to go up. In a booming region, with runaway housing prices and suffocating traffic, the Northgate development is the kind of project that’s supposed to help with both problems. Developers get a public subsidy to build housing available to people making less than the median income. And the housing is right next to a massive public-transit investment, which, in theory, gives new residents an escape from clogged highways. The Seattle City Council is in the midst of rezoning small portions of the city, allowing taller buildings in neighborhoods that sit near light rail and busy bus lines. If the changes go through as planned, the Northgate development would be rezoned to allow 24-story buildings, nearly twice as high as is currently allowed. The original request for bids went out last November, and the county spent months analyzing them. But in March, the state Legislature passed a new law letting governments sell public land at steep discounts or even give the land away, if the property is going to be used for affordable housing. Seattle Mayor Jenny Durkan and Councilmembers Debora Juarez and Teresa Mosqueda wrote to King County Executive Dow Constantine asking for the county to either accept one of the two bids, or immediately reissue the request for proposals (RFP), to try to expedite the process. Juarez had been particularly upset about the delay. The county responded that it would work to issue a new proposal by July 31. County officials had previously said it would take months to reissue the proposals. “The new proposal will make it clear that the land for the affordable housing component must be provided to the nonprofit developer at no cost,” Casey Sixkiller, the chief operating officer of the King County executive’s office, wrote.